Navis A4/N4(TOS) is a flexible and so a complex application and terminals often have a need to upgrade their N4/A4, for major version releases or emergency patch releases. And an upgrade is not an easy task as it involves sometimes 100s of configurations and settings in N4/A4, XPS, Database etc. that require changes and verified in the upgrade. Also for ensuring the desired working of the upgrade, it has to be tested in an environment, which is a copy of production environment. Several of these configuration steps need to be performed in all the test and stage clusters to mimic the final upgrade in production. If during this upgrade something fails for various reasons, the whole cycle of environment creation, upgrade and testing has to be several times. Applying the configurations manually every time can be time consuming and error prone. Terminals being a 24×7 operations place it becomes extremely important for them ensure the upgrade works as desired before attempting it on production environment. 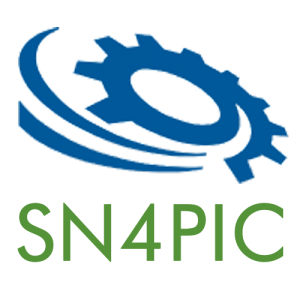 SN4PIC is a N4 configuration management tool that automates the post configurations that are needed in N4, Database, XPS etc. and can greatly shorten the downtime leading to a quicker production upgrade. With SN4PIC tool one can set-once-run-many-times producing consistent and accurate configurations every time on any number of N4 clusters. SN4PIC is built on Java and Selenium test frameworks – and they help to automate several N4 post configuration steps.